Here to Heart ended last Sunday and fell in tv ratings on its final week despite managing a decent run overall. 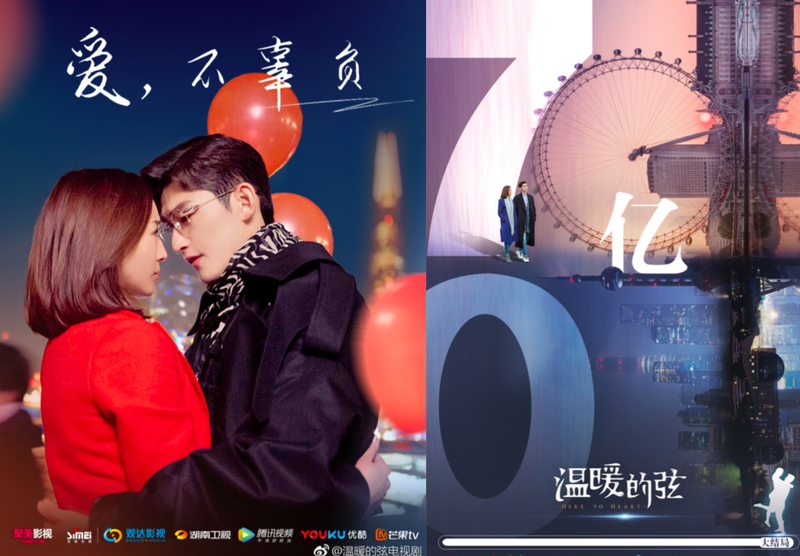 It surpassed 7 billion views online which is among the higher ones, if not the highest, for dramas that aired this year. The Way We Were emerges as the new ratings leader though it's still hovering around CSM52 ratings of 1.0%. The same two dramas continue to lead web rankings followed by Moonshine and Valentine. 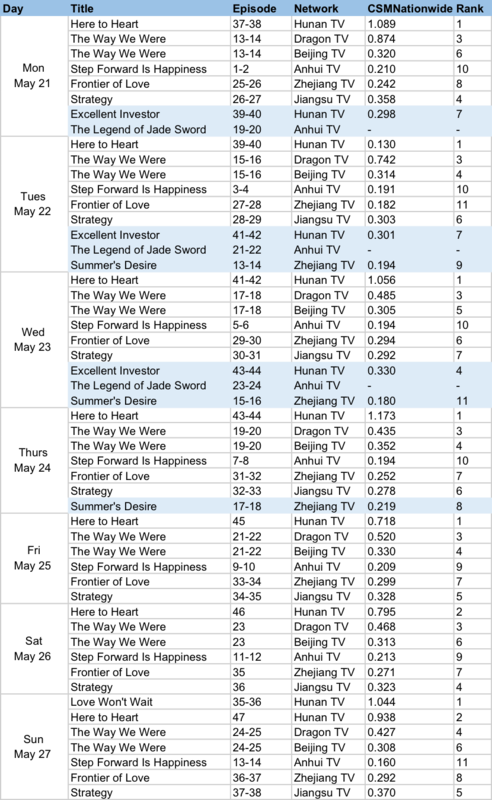 Meanwhile, a closer look at the celeb list shows that all the main couple pairings have made it to the top ten: Victoria Song and Johnny Huang, Janine Chang and Zhang Han, Tang Yan and Luo Jin. Love Won't Wait is the new drama replacing Here to Heart, and it's off to a promising start to rank in first and second according to CSMNationwide and CSM52 respectively.